Math Study offers several interactive activities including over 400 math vocabulary terms. Choose from crossword puzzles, fill in the blanks, word search, and more to review and learn math vocabulary. View the entire list alphabetically or scroll to the bottom of the page to see a shortened list categorized by grade level. Include these interactive activities with your math vocabulary studies or use for Pi Day activities. Include a link to puzzles on your class web page for students to complete at home. Encourage students to use Flashcard Stash, reviewed here, to make online flashcards like as a substitute for handwritten flashcards, and to practice and learn math vocabulary anytime, anywhere. Looking for a new book to read? Bookbub has it covered. Enter your email address and begin telling BookBub your preferences in genres and your preferred reader device or app (Nook, Kindle, iBook, Google Play, Kobo). You will be presented with a list of authors to follow based on your genres, and then you create your password. Next you will get a list of books recommended for you. Best of all, many of the books are free. You can always put a book under bookmarks, and be alerted when it has a reduced price or is available for free. Under your account and notifications select how often you would like to receive BookBub updates - daily, weekly, and various other choices. Sign up for BookBub and receive daily emails with book excerpts. Share the excerpts with your class as a way to hook some students into reading or to offer book suggestions. Use the emails as an example of a service that students may want to try. A valid email is required to join this site. Read tips for safely managing email registrations here. Substitute oral book recommendations by having students choose an interesting excerpt from a book they are reading and share with it others via email or on your classroom blog or website. Be sure to have students use the title and author in the subject line! This will also provide a record for those looking for a new book. Focus on the key elements of writing a story with Story Map. Fill out and print graphic organizers for characters, setting, conflict, and resolution. Each organizer has prompts for what to write. Returning to an organizer to edit is possible. Print your Story Map, since it is not saved. Substitute paper and pencil story mapping by introducing your class to Story Map and writing a class story. Use an interactive whiteboard or projector and be sure to point out the prompts to answer with each organizer. Bookmark Story Map on class computers as part of stations when developing a writing project. Put a link to this tool on your website or blog for students to access at home. Learn Science and Weather Safety with Owlie Skywarn, a site produced by the National Weather Service. Begin with Fun With Owlie and read Owlie's Journal. Participate in a Weather Ready Activity for emergency preparedness. Master the weather game to become a young meteorologist or make a copy of Flat Owlie to take with you in any weather! Be sure also to check out the sections for parents and teens with many resources for teaching and learning about weather. Print and share Flat Owlies with your students to send on travels around the country and the world. Ask travelers to share pictures of Flat Owlie in different types of weather. Include activities from this site with your weather unit. Use Owlie's Journal as a model for creating a class weather journal. If you are beginning the process of integrating technology, substitute paper and pen by having students create weather blogs sharing their learning and understanding using Loose Leaves, reviewed here. This blog creator requires no registration. If you are teaching younger students and looking for an easy way to integrate technology and check for understanding, challenge your students to create a blog using Edublog, reviewed here.Take daily pictures of the weather outside your classroom and create an annotated image including text boxes and related links using a tool such as Thinglink, reviewed here. 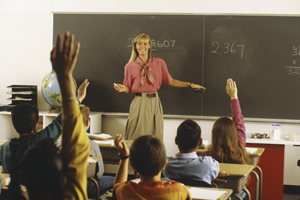 Access commonly taught themes for classic literature and discussion questions for that theme. Plus there are Text Sets perfect for social studies teachers! Choose a Lexile'''® grade level for reading and download the text in PDF format or read online. Each text has a menu across the top offering Paired Texts, Related Media, Teachers Guide, and Parent Guide. Accompanying the text are critical thinking questions, an Assessment, and some have Guided Reading Mode. Choose the size of the font, listen to the Read Aloud (and pause it), translate to Spanish, and Highlight. Track student progress. All of this for free! What else could one want? Well, you can also request a text, and they will negotiate with the copyright holders to have that text on their site. Take a look at their blog, too! You'll find lots of suggestions and thoughtful reflections for using nonfiction texts with your students. CommonLit is an excellent resource for literature teachers, speech and debate teachers, and history teachers. Share the site with students on an interactive whiteboard or projector, and ask the class what themes they would like to investigate. Under each theme are two questions. Divide the class into small groups with each group investigating one of the questions for one of the themes and reading the accompanying text. Differentiate for students by having students read on the same theme, but at their reading level. Challenge individuals, pairs, or small groups to create a graphic organizer for the story they read replacing paper and pencil and using a tool like Holt Interactive Graphic Organizers, reviewed here. You could take this to another level and have two groups read different selections on the same theme, use a graphic organizer to make comparisons for how the theme was presented, and then modify learning by challenging the groups to present their findings to the class via video. Use a simple video creator like Biteable, reviewed here. This site would also work when you have to make substitute plans unexpectedly. Just put the link in your plans and tell the sub what theme you want students to read about, or better yet, let the sub choose! A picture is worth a thousand words, and editorial cartoonists have been boiling down the foibles of politicians and public figures throughout history. One needs only to know about Thomas Nast and his cartoons of Boss Tweed during the 19th century to know that cartoons have a deep impact on political discourse. Cartoons for the Classroom offers over 250 one-page downloadable lessons featuring two or three political cartoons related to current events and several questions for discussion that relate to those cartoons. Alternatively, download the cartoons alone along with space to "draw" your own conclusions. Click on "Welcome" on the top left of the list to go to the home page and "Today's Political Cartoon." These one-page discussion starters could help students keep up with current political issues, provide an opening or closing activity, or serve as an enrichment activity for students who move through other assignments more quickly. Available either with or without guiding questions, and covering a wide range of relevant and timely topics, they are perfect to keep as a Plan B or for an emergency substitute teacher activity. Elsewhere on the site are links to other information about political cartooning through history; most of these links connect to outside sites so be sure and preview carefully. In Art class, create a "political" option during a line drawing unit for current events enthusiasts to draw their own political cartoons. Include these cartoons during a unit on humor and satire in an English/Language Arts class or gifted program. Never mispronounce a name again, thanks to the help of NameCoach! Record names using your own computer or any other device. Add phonetic spelling or pronunciation tips. You can listen to the names as often as you wish. Create your account to make lists for Back to School, award ceremonies, graduations, and much more. After creating your name page, share a link to participants through email or as a link on your class webpage or blog. Create a master list with sublists for use in different departments, classes, or for individual events. Create a master list of student names in your school or class using NameCoach. Provide a subset for different activities such as award ceremonies, after-school programs, or for student tutors. Share with your school's ESL/ELL teacher as an authentic way to learn and practice unfamiliar names. Provide this list (and URL) to any substitute coming to your classroom. Use it in world language classes to help students learn pronunciation of new names.